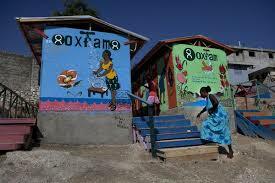 LONDON: The chief executive of scandal-hit British charity Oxfam announced his resignation Wednesday, saying that someone else should help “rebuild” the group following a prostitution scandal in Haiti. Mark Goldring had resisted calls to resign when the crisis hit in February, following revelations that Oxfam aid workers used prostitutes while working in Haiti following a devastating 2010 earthquake. He added: “Following the very public exposure of Oxfam’s past failings, we have redoubled our efforts to ensure that Oxfam is a safe and respectful place for all who have contact with us. “We are now laying strong foundations for recovery. I am personally totally committed to seeing this phase through. “However, what is important in 2019 and beyond is that Oxfam rebuilds and renews in a way that is most relevant for the future and so continues to help as many people as possible around the world build better lives. The reputation of Oxfam Great Britain, part of Oxfam International, was shattered and its funding hit by the scandal, with three of its global ambassadors, including South Africa’s Archbishop Desmond Tutu, pulling out. The claims were not confined to Haiti — subsequent claims were made about aid workers in Chad, Bangladesh, Nepal and the Philippines — promoting the charity to launch an action plan against sexual harassment and abuse. Deputy chief executive Penny Lawrence resigned but Goldring refused repeated demands to follow her — even after he said in one newspaper interview that the outrage was “out of proportion” to what happened. “Mark faced the test of a lifetime managing the crisis which hit us in February and related to events before he joined,” said Oxfam chairwoman Caroline Thomson.